Nice and quiet here today. I love this suburb. Lots of people out walking but all for the same reason – enjoying a peaceful morning. It’s overcast and grey and there is a bit of drizzle around… the garden is giggling. I’m old school when it comes to roses. If it doesn’t smell like a rose, I don’t see the point. 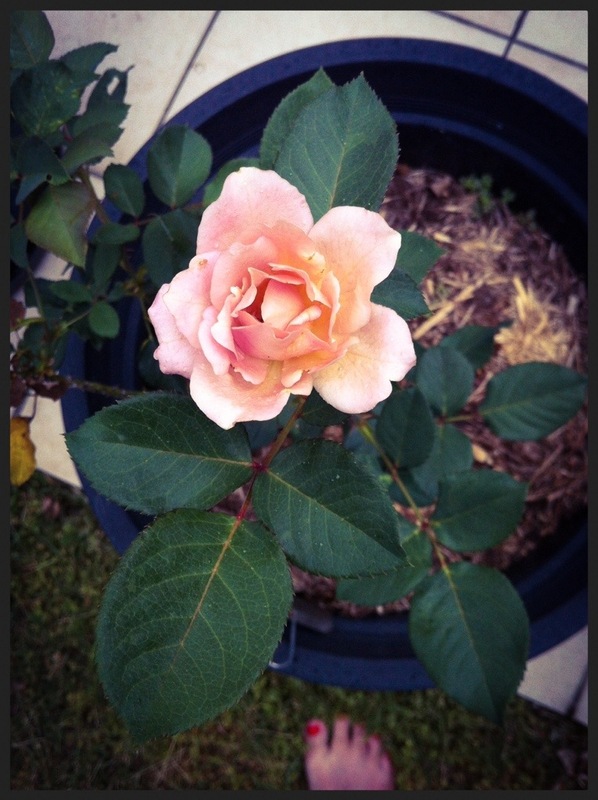 Mr Lincoln, Freesia, Gold Bunny, Honey Dijon, Double Delight are some of my roses that all have a strong fragrance. I break my own rule when it comes to my favourite rose. It’s called Julia’s Rose. It buds up a deep brown colour and when it opens it fades to the colour of parchment. My parents had it growing in the garden I grew up with and although it doesn’t have a scent, I love it because of its unusual colour. Parchment. What a delicious word to describe a flower. This is my favourite rose.